Hey, no comments on the last few posts. What am I doing wrong? OK, maybe it is contest time. Whoever gives the best comment gets either a guest blog here for one day or a little 2x 2 inch hand painted water color from me, and yes, I am open to suggestions for other prizes. No prizes will be given unless there are at least 9 (my lucky number) responses, and it doesn't count if one person writes all nine responses. Well, maybe it does. Of course this could be horribly embarrasing if no one answers at all. So the question you need to answer for this post is, do you think that creativy and insanity are connected? Is there really a thin line between the two? Serious and flip answers are allowed. And I have huge and wonderful and amazing news, but I can't say anything until the contract is signed. (Isn't that the most glorious word on the planet, contract?) I'm dazzled with joy. My friend, the author Leora Skolkin-Smith is in this amazing film that is now in production, Grace Paley: Selected Shorts, about the great Grace Paley. Lilly Rivlin , the filmmaker, followed Grace around and there are beautiful shots of Grace's last weeks. It's unsparing in showing Grace in her cancer, but what is remarkable is to see this little woman talking about the open fields of the farmhouse up there in Vermont, and how she named all her flowers after friends because she was so forgetful. Leora was published by Paley by Glad Day Books, but better than that, she was loved like a daughter by Paley. The film is incredible. What Grace taught was that writing comes from our lives, it pulls out from our sorrows and expresses what life really is. Here's an amazing poem from Grace's last days. were these years such an historical mess?" I also discovered, after panicking that my hard drive was going or my fan, that the solution was to open the computer and blow out the ten tons of dusts breeding new colonies in there and to stop piling books and papers on top of the computer. It's so quiet now that I can hear myself scream when I am trying to write something brilliant and am only coming up with mediocre at best. Are there are novelists-slash-screenwriters out there? Does anyone think these are exclusionary categories? Is there a trick about marching fearlessly from one genre into another? 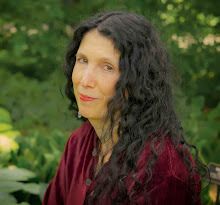 The PEN festival is really exciting and my friend, the writer Leora Skolkin-Smith is going to be blogging about it. What Leora says is true, (and I'm going to paraphrase her here) that it's a time when writers can be "serious" without guilt and fear of being called "Elite-is", to try to cover what is meaningful instead of just what is popular. What's truly central to this discussion is that Europeans and other countries consider the art of story-telling an art, not commerce. One actually sees writing lending itself to themes and issues--evidenced by the simply categories PEN sets up to even introduce these writers. So check out Leora's blog next week! Yep, the book is partly autobiographical, as Dana talks about going through failed adoptions (me, too. See my novel, Girls in Trouble) in vitro, tests, and more. Dr. Dao, descended from more than 70 generations of Taoist masters, is renowned among even high-tech infertility specialists. What's great about the book--besides the voice, the 28 day fertility enhancement program, eating plans, guidelines and more, is that it is also about a philosophy of living. This is a terrific book about being in balance, about discovering what matters and why. Of course the target audience is women yearning for babies, but the lessons here encompass so much more. I have a soft spot for doctors who write--and who practice preventative medicine rather than piling on the drugs. Cardiothoracic Surgeon, Dr. Rob Carlson is both a brilliant doctor and brilliant writer. He's finishing this spectacular medical thriller and while talking about plot and character with him, I couldn't help myself from also peppering him with medical questions, which he very graciously, patiently and generously answered. It all fascinates me. When I was ill in NYU, I talked the surgeons into letting me stay awake to watch a five hour operation where they were gluing my veins shut! It was the only high point of my 2 1/2 month stay, but I've never forgotten the exhilaration of watching that operation. I read medical journals the way others might leaf through Vogue. To me, advances in insulin therapy jazz me more than the length of the latest designer hemlines. I've long believed that much of health is preventative. You eat the right stuff, and get the right vitamins and you feel better and live longer. I know it works. I bumped away 90 percent of my once terrible asthma by diet and vitamins. My family is genetically predisposed to high cholesterol (I'm a vegetarian leaning towards vegan and my counts are still borderline) and I was determined not to take the Lipitor my doctor kept suggesting because of all the nasty side effects. Anyway, Rob and his business partner Gary Stanton, at New Health Corporation, have done a lot of research and clinical studies with vitamins and Rob sent me some samples. I love the vitamins. I love the way I feel. I love the sleep savior which really does destress you (in a healthy way) so you can conk out and feel rested. So check out the vitamins--and the website which has a lot of interesting medical info. And don't forget to check out Rob's thriller, too, when it hits the shelves. 2. I want to sing the praises of this literary doctor (he just finished an amazing thriller) who also has a clinically proven preventative line of vitamins that I use. 4. And of course I want to obsess about my own work and angst. I'm having problems with this script I am writing. Screenwriting is so different than novel writing that some days I just think about dental school. 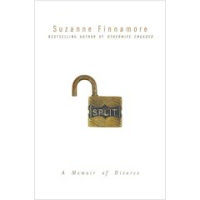 Suzanne Finnamore, author of Split, speaks up! I've already given a rave review in my book column in Dame Magazine to Split, Suzanne Finnamore's (photo by Jerry Bauer, by the way) wonderful new memoir, but I also got the chance to pepper her with questions. Suzanne's book is amazing. Fiercely honest, vulnerable and smart, it should be required reading, plus this book makes you really want to read everything else she might write--grocery list, notes, and further classics. I heard you read from Otherwise Engaged a long time ago in New York. You (and the voice in that book) seemed so sure of yourself and you were even a little bit cocky in the reading (which is fine, albeit a little intimidating), and though I liked that book a lot, I felt that your voice in Split is very, very different in a really great way. Your voice in Split is a whole lot more vulnerable, more willing to dig deeper (even if it wounds you) and so blazingly honest and brave that I fell in love with the book and was rooting for you by the second sentence. Can you talk about this vulnerability? Was it always there and just not coming through your early work or was it hard-won? What do you think the pros and cons of self-revelation on the page really are? Is it odd to find yourself considered an expert on divorce? Any new advice or reflections that came after the book was turned in? Yes, it's very odd being The Divorce Woman but it's also very kind, considering the fact that divorce is my subject matter. You sort of fall into these things when you write a book. This is my third book. Two novels. Then I wrote a memoir on my own marital dissolution and so now, if some readers perceive me as an expert in that dubious field, that's far out. Actually I'd like to serve as a human life preserver pressed between the pages of a book, someone who wafted out and gave other bereft spouses some interesting and amusing news of the other side of divorce.I have some new information, yes: It continues to get better and sweeter, life. And love is available as well. I didn't know it would be possible, love. I thought I was too old, thought I had sworn off it. But it comes and of course you say yes. You must. You mentioned that you weren't quite at true happiness at the end ofthe book. What about now? Do you even think such a think exists? What are your views on lasting love and marriage now? I now believe that a solid, lengthy marriage is the greatest accomplishment in any century. True happiness is something one gets on one's own - but it can be heightened by the existence of a mate. So yes, I would get married again, provided I was in my right mind. I would remarry; I might also sky dive at some point, or go to Thailand.Marriage is a country I've been to, and I was captivated and seduced and fully immersed; we had a beautiful wedding full of meaning and love, an ambrosial courtship, an amazing gift of a son planned in love and all the life trimmings. I have tarried in that country; it's a great place. That said (and done), marriage is not a driving impulse any longer. It seems a bit like a flaming desert that one might either enjoy or regret. Slightly more dangerous is how I view marriage, now. More difficult a feat, I guess you'd say. I would be dishonest if I didn't admit this.And it's complex, as a single mother. My son is nine years old and so happy and so deep into his own life and our structure...and although he doesn't mind a male visitor...well, he has actually informed me that he like things just the way they are. Right now my son feels that he would like very much to have me all to himself. He feels another man in the house would complicate his fiefdom; I can't say I blame him. But there is hope just over the horizon. In a few years he won't want to see me at all unless I'm serving a large quantity of pie, handing him cash or preparing grilled cheese sandwiches with my back to him, silent as a scullery maid. For me, part of the pleasure of this book was the expansiveness of it. You start with no-one-ever-leaving the-house-again kind of grief which evolves into a cosmic reflection--walking up a hill to notice a comet that appears once ever 78 years, a rare and brief event that nonetheless is worth every nanosecond. Are you still in that philosophical place now or has that morphed? Oh I'm extremely philosophical. Each year I become more light, more myself. You relax into your new life, you enjoy the scenery. Love returns to your heart and you find it in the world and in your revised family. But - and this is awfully nice -- I don't feel as though my survival depends on what my next move is. My mother, Bunny, says that about my divorce: You survived. This seems to be all that's required, that my son and I are whole and well. I regained my natural balance, I have large pleasure at being alive and a mother and a woman who writes.Yes. You survive, you keep the house if you can, you hang on to what matters. I bought my ex husband out of our house and hung onto it by the slimmest of margins. It was a miracle. In the end one tries not to be bitter or sad because that is wasted lifeblood. I can't afford to look back that way, it's like what Bette Davis said: "When you look back, you relax your vigil." What are you working on now, fiction or non-fiction and why? I'm about five hundred page into a very long and meandering text about what happens after you realize you're single again and you come back into your own as a woman, as a social and sexual being. I went on the Internet and did that whole Internet dating scene, and I basically got a lifetime supply of these really great men. And so my next project is about how to do that, and what wonderful adventures appear on the road after divorce. Magnificent surprises, actually, very sweet stuff. The working title of the manuscript..."Back Out There." I don't have to tell you what I mean by that! Anyone who has ever been married knows what being Back Out There signifies. And I wish everyone well and thank you so much for reading my book. Meanwhile, I am desperately trying to finish a script so I can enter the Nicholl Fellowships. Awards are funny things. I've won some awards and competitions, lost a LOT, and I got to judge the MidAtlantic Arts Fiction Competition a few years ago, which made me feel a whole lot better (and worse) about the whole process. So, I'm curious. Anyone out there ever judged one of these? Ever won the Nicholls? Have a better attitude about contests than I do? On another tangent--the press-on letters I bought for my keyboard because the letters wear off in six weeks....they are wearing off. I'm so disheartened. Next up, I'm trying plastic keyboard covers. I just pound the keys too hard so I'm not certain those are going to work either. Someone previously told me it has to do with acid in your fingertips, but I can't imagine wearing surgical gloves to type. My screenwriter friend Jeff Lyons very supportively listens to a great deal of my angst every day via email and helps keep me on track and gently yells at me if I whine too much, which I'm hopeful is not as often as I think it is. So when he told me about The Rouge Wave and Julie Gray, I not only listened, I moseyed right over there to check it out. That's a smashing photo of Julie above, and her site is smart, cool, and wonderful-and so is she. 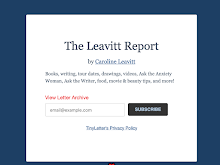 Screenwriter, YA novelist and fiction writer, she's also a founder of The Script Department which is an uber cool site which has this incredible feature I wish they had for novelists. You sign up and tell them your deadlines and then they NAG you to finish on time. The Script Department is made up of writers and script readers, who also give very reasonable script coverage at all different levels--smart, to the point, and very, very helpful. Because I have been struggling with a script based on a notorious essay of mine (lotsa film interest in the essay but there seems to be a disconnect with my script) I'm seriously considering this. Anyway, in today's Rouge Wave, there were incredible tips about hooks and loglines, and it actually solved one of my script problems. The writing is fresh and funky, plus I dare anyone to resist a blog with photographs of cupcakes. I was deeply comforted that she said scripts can be rejected for reasons that are sound and for reasons that are baloney. I also love her advice: Stop whining and write. The truth is, I would like Julie to move in next door, but the next best thing is her blog. Go check it out. As for me, I'm starting Chapter two tomorrow and hammering out a new logline. And yes, I am stopping whining and writing until I see blood on the page. The creative process can be really confounding. I now have two novels that I want to do, but I really need to just concentrate on one. And I've been making myself crazy. It's dangerous, I think, for any writer to start thinking things like 1. which idea will sell better? 2. which idea will my agent and editor like best? And yep, I was deep in that kind of thinking until some writer friends (this is why it's important to have friends who are in the trenches with you) set me straight. You have to write from your heart. You have to write what you want to write, what you want to read, what gets at you and if you do it truthfully and honestly, it will get to others, too. So I am hunkering down into writerland and working myself into a fever. Alan Corey wrote a book I really liked called A Million Bucks by Thirty. I raved about it in The Boston Globe because it was really funny and hip and also had some good advice, and while obsessively googling this morning, came across this hilarious montage Corey did on his blog. I had mentioned in my review that although I loved his work I wouldn't want to hang out with him (he pinches his pennies very tightly, that's all I meant) so he put us together in cyberspace. I love this. Especially the pirate hat. This photo doesn't begin to show off how gorgeous these earrings are. The bottom is silver and intricate and the top beads are this shimmering wine color. I adore them with a passion. They're from Hey Lady Designs by Gina sorell, who is a talented author and as you can, see a master earring maker, too!